How were WW2 warplanes brought thousands of miles to the battlefront ? While searching the web for anything that relates to RAF Kasfareet, I found an item on a website of the WW2 112 Squdron based in the Western Desert that indicated that the new American Kittyhawk fighter was being ferried regularly from Kasfareet to the front line. Could it be that the planes were crated in the USA and shipped to the Suez Canal Zone via the Cape of Good Hope, South Africa ? The planes could have been assembled at Kasfareet awaiting collection by the front line squadrons. Anyone know any more ? Two days after I had typed the above paragraph, I opened my latest library book entitled " To Play the Fox " by Frank Bernard published in 2009 by Headline Publications. Now here is another to add to mate Jack Garry`s list of service coincidencies ! When I took this book out of the library, I had not studied it at all. I just saw that it was about Spitfires which was good enough for me. However, as soon as I opened the book I was confronted with a map of central Africa detailing the route of the TAKORADI RUN !
" THOSE FERRYING A HUGE VARIETY OF AEROPLANES FROM THE WEST COAST OF AFRICA TO THE FRONT IN NORTH AFRICA - THE SO CALLED TAKORADI RUN "
Both the PRU and the Takoradi Run played a crucial role in the successful battle against the Axis forces, the first defeat suffered by Rommel, the Desert Fox. This was the answer to my question of how the Kittyhawks got to Kasfareet. I have since read the book and pages 97 to 123 gives a graphic account of a run along that route via the listed staging posts and gives a fictional but highly believable account of the trials and tribulations of this aircraft line of supply. Naturally my next step was to Google Takoradi Run and several results appear later on this page following several true reports of 112 Squadron losses in early 1942. The following aircraft Loss Reports cover the period from when they fetched the first Kittyhawks from Kasfareet and over the next few weeks. Full squadron records on their website reveal the full extent of all losses. S/L Morello. P/O Duke, P/O Sands, Sgt Alex Tait Donkin, Sgt Brian Patrick Hoare and Sgt Stanley Charles Johnson picked up the initial 6 Kittyhawks from MU Kasfareet. Ferry flight accident, pilot caught in a dust storm, KIFA, - hit telegraph lines in dust storm 11 km east of Cairo; he may have been injured and died the day after. All 6 planes were caught in the dust storm only P/O Duke pressed on above it the rest turned back towards Mersah Matruh where they had refuelled. It took Duke 3.5 hours to reach El Adem. Crashed in his first test flight of new Kittyhawk, pilot KIFA, engine cut on take-off, crash landed MSUS, DBF, plane burned. 1st mission that day escorting over Mersa Brega and El Aghellia. He was flying as No 2 for P/O Duke, Gerhard Homuth, I/JG27, shot him and 2 others from 3 Sqdn (F/O G Chinchen and Sgt Ronnie H. Simes ) causing Carson to force land. Aircraft unknown Kittyhawk was burned Destroyed in the retreat from Antelat due to Waterlogged conditions ! A/C Missing In Action near Derna, shot down by ground fire. pilot KIA at the time he was the longest serving pilot in the Sqdn and had just been married. Unloading aircraft from transit crate at Takoradi for assembly and onward flight across Africa to Egypt. 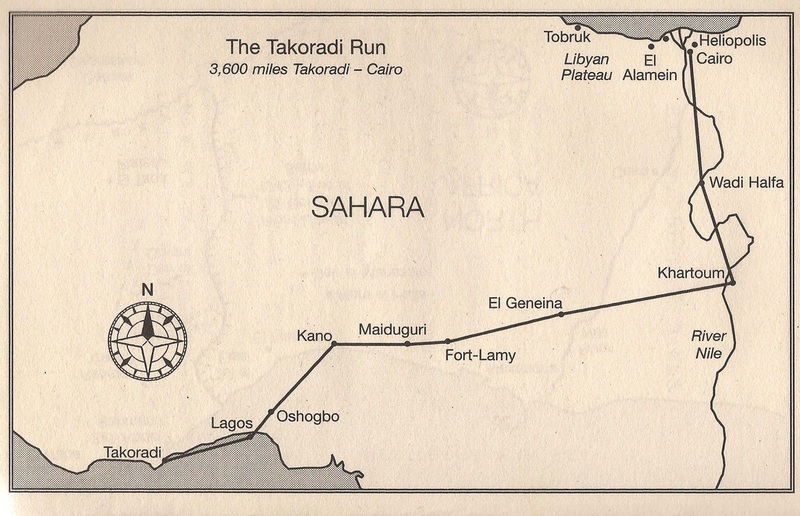 The convoy route known as the Takoradi Run was started bringing planes across Africa, stopping at 200 mile hops via Kano, El Genena, El Fasha, Lama, El Obeid, Wadi Halfa, to Khartoum. We were constantly flying to these strips to repair planes so badly assembled that some almost fell to pieces ! I think that the native mechanics that helped to assemble the planes only had tool kits comprising of hammers !!! For several months the convoys were made up of one Blenheim and six Hurricanes but later we started getting American Tomahawks and Kittyhawks, led by Baltimores, Marauders, Bostons and Glen Martin Marylands. After 3 years in the Sudan, he was posted to the " Canal Zone " 107 MU then up the desert. He recalls Wadi Halfa, the airfield was a level stretch of sand and was a staging post on the Takoradi Run, a route across Africa along which flights of Hurricanes, led by a Blenheim were ferried eastwards to us, then north to Cairo. This man also recalls 40/41 time - posted to a holding camp at Kasfareet on the Bitter Lakes which were linked by the Suez Canal. " This was a desolate camp. I remember seeing a group of about 30 Italian POW`s being guarded by an RAF Corporal just mooching along aimlessly through the desert. The Corporal had even given one of them his rifle with fixed bayonet to carry " !!! His overseas service came with a sudden posting at short notice in 1941 when Ron`s Maintenance Unit was assembled on to a train routed to Liverpool guarded by Military Police. They were at sea for 93 days, first as part of a detachment of about 300 equally divided RAF, Naval and Army troops on board an old coalburning freighter attached to what was described as " the largest convoy of the war ". When the SS Koscius blew a boiler at night they had to enter Freetown harbour for repairs. No one was allowed ashore but the food was good and there was a wind-up gramophone on board so morale was high even when the water went bad and the troops had to collect rainwater to drink. From Freetown the ship went to Durban where the troops were given " survival leave " and from there they embarked for the Canal Zone on SS Elizabethville, newly scrubbed out after housing Italian prisoners of war, following a threatened mutiny by new occupants. On 17th December 1941, the ship was steaming along the African coast, and soon after the RAF personnel on board dis-embarked at Suez to join 107 Maintenance Unit at Kasfareet in the Canal Zone. There were 4 Maintenance Units in June 1941 : 107 at Kasfareet, 103 at Aboukir, 102 at Abu Sueir and 101 at Massara Caves handling explosives. Aboukir near Alexandria and Abu Sueir near Ismailia were heavily bombed in July 1941. Aircraftsman Ron Roberts remained with 107 MU at Kasfareet for two years salvaging aircraft instruments and repairing American fighter/bombers from the Tactical Air Group including Kittyhawks, Warhawks, Mitchells and P38`s (Marauders ). Squadrons of fighter/bombers from this group bombed German and Italian supply lines first in the Western Desert and later in the Balkans in support of Allied troops during the ill-fated Greek campaign. 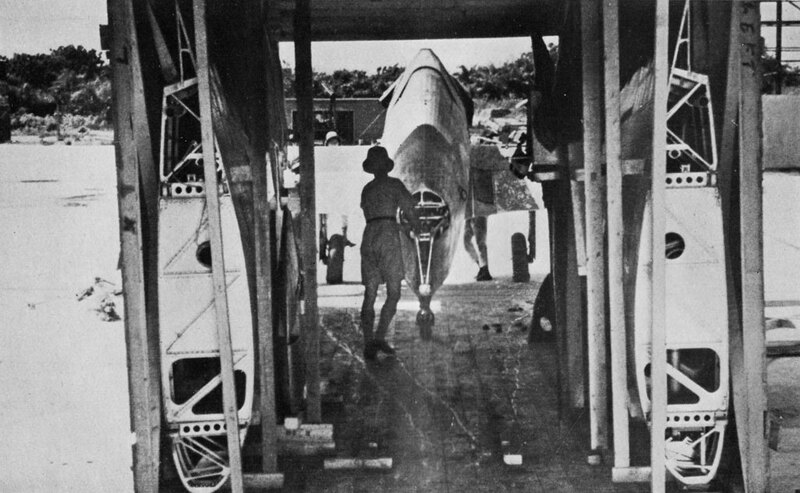 New aircraft were hastily unpacked from crates, assembled and fitted with British bombsights and oxygen equipment before being hastily despatched from Kasfareet and Heliopolis. Alwyn`s note :- Other than assembling planes at Tokaradi and flying them overland it would seem that at some time, crated aircraft were delivered to Kasfareet and Hleliopolis possibly via Suez for assembly and onward delivery. I was nearing the end of a book written 41 years ago of the days of the American Barnstormer pilots in between the first and second world wars when I came across a comment that Art Inman, one of three brothers who formed the Inman Brothers Flying Circus, became something of a World War 2 hero when he ferried the first Lockheed Lodestar from the USA over the Atlantic to British West Africa to spearhead the gigantic flow of lend-lease planes that helped to divert the Nazi thrust into Africa. Tokaradi is in Ghana ( formally known as the Gold Coast ) and part of the African Colonies that were known collectively as British West Africa. 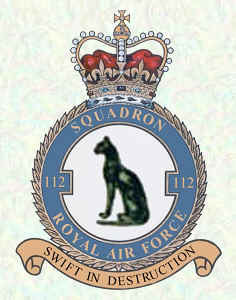 No 26 Squadron of the South African Air Force Coastal Command was also based at Tokaradi from April 1943. 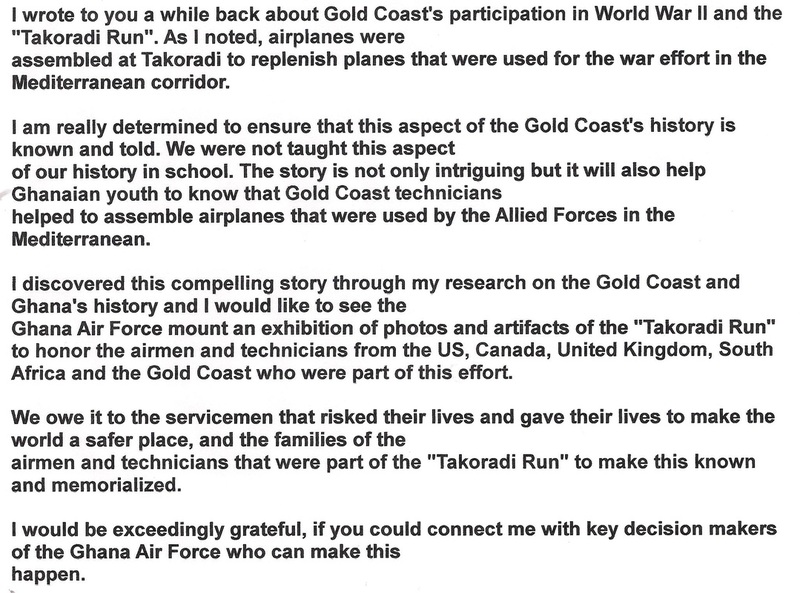 Ms Quayle listed me various links in connection with the Takoradi Run, one of which I show below being an illustrating, hazard filled, amusing and good ending of the war time experiences of a wartime Canadian pilot which incorporates him negotiating the Takoradi Run in a Spitfire to Cairo.